Churches in the municipality of Gran, Norway. 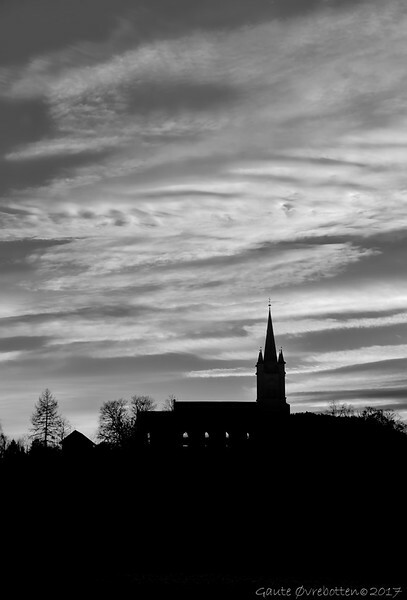 Fine art edit of a late afternoon photo of the church at Tingelstad captured against the sunset lit clouds. The POV is seldom visited. From here the Church is seen towering on top of a hill. Far more prominent than seen from the opposite direction.